Because WCT is placing no filters or restrictions upon the writers, audience discretion is advised. Material may include ideas/concepts/language that could be considered offensive. 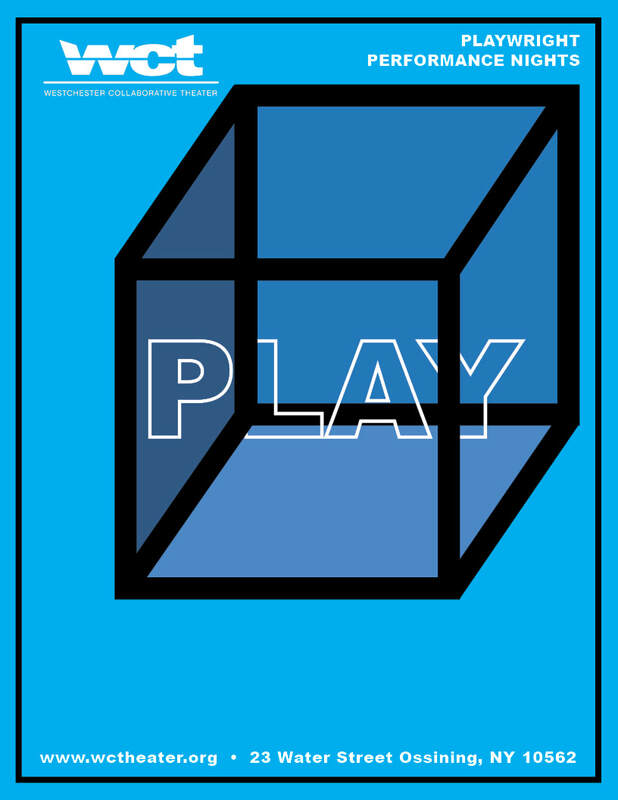 Play In the Box is a series that offers member playwrights an opportunity to present their never before seen plays, of any length, before an audience. ​The plays, all self-produced by the playwrights featuring actors and directors of their choice, will range from readings to fully staged performances. Following each play, the audience will be asked to become part of the creative process through talk-backs that can help the playwright identify what works and what doesn’t in the play. On a given Friday evening each month, playwrights are afforded an opportunity to present their plays to the public and further the development of their works in progress. Join us later this year for more Play In The Box! ​Details about this performance below. This service is free for member playwrights! If you would like more information, send us an email. Are you a playwright or actor who is interested in becoming a member of our company or attending a lab? Contact us here! ​​$10 suggested donation, at the door. Dulcian, a middle-aged woman still in the peak of her prime finds herself at a prickly crossroads as she tries, valiantly, to be everything for everyone - ready, willing and able for Nathanial, her hot-blooded, much younger French lover, and a sage, maternal guiding light for Justine, her teenage niece on the precipice of discovering her own sexuality and all too eager to take the leap. When the past begins to ravage the present, unearthing scars she thought were long buried, and playfulness turns ugly and dark, Dulcian is pushed to choose, knowing that the consequences of her choice will most likely be irrevocable. Trusted confidant George tries to carve a saving path, but his counsel may be too late. Which way will she go – or is there only one way out? Captain my Captain - who put you in charge? ​Paint me a picture of integrity. Sold! What happens when your past, present & future pose for their portrait. A full-length play reading about crime, immigration, justice and the law. The cast features: Steve Allen, Chris Arena, Emily Aronoff, Jeff Callan, Marilyn Collazo, Athena Glorius, Julie Griffin and Rebecca Werner. The reading will be followed by an audience talk-back. ​Baby Blue: How much are the eyeballs in the window? Can two people who dated online for a year, and then finally meet, live happily ever after? Perhaps a second chance for two middle-aged lovers? ​Rock’n’Roll doesn't die, it just goes to jail as two aging former rock stars meet up for the first time in 10 years in a jail cell and the long buried dead are dredged back up for one more ballad. ​Mun is at stake when a man commits an act of infidelity. Twin sisters Celina and Gabriella face off and examine their lives and relationship while meeting to celebrate their 39th birthdays.